The term “Near East” refers to the vast expanse of land extending from the eastern Mediterranean coast to central Asia. Today many separate countries exist in this area, but in antiquity there were no nations or political boundaries. Instead, geographic barriers such as mountains and rivers separated people from one another. 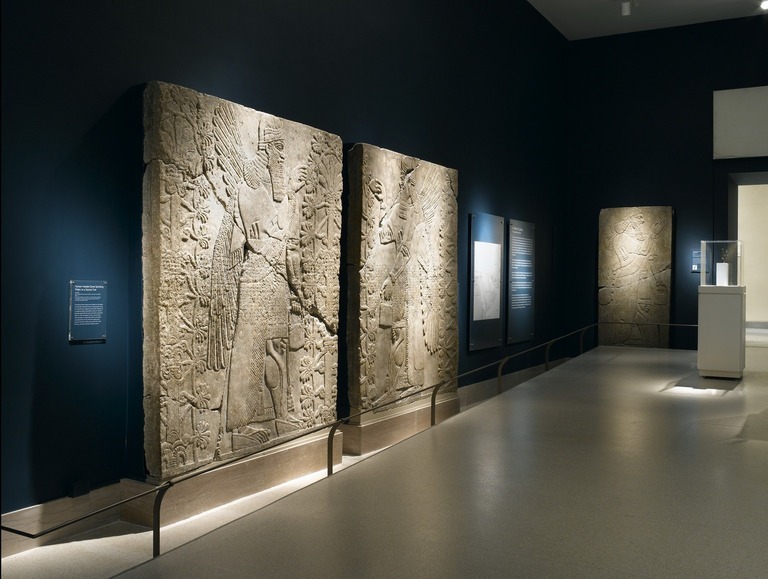 Distinct cultures arose in some of these areas, such as between the Tigris and Euphrates rivers in a region now called Mesopotamia (“The Land Between the Two Rivers”) in modern Iraq and in the highlands of central Anatolia (modern Turkey). The people of these cultures derived their personal identity from membership in a group sharing common customs, beliefs, and language. In 1855, Henry Stevens, an American living in London, purchased the twelve reliefs now in this gallery and shipped them to Boston, hoping municipal authorities would acquire them for that city. When the necessary funds could not be raised, Stevens sought a buyer in New York. 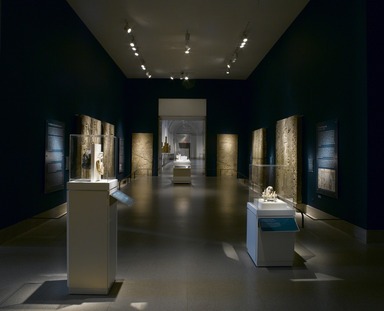 Almost immediately, James Lenox bought the reliefs for the New-York Historical Society in Manhattan. 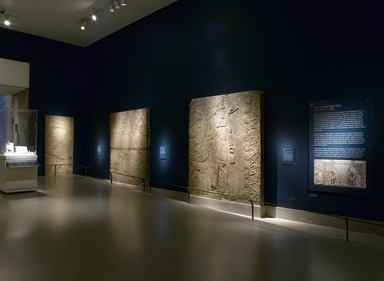 In 1937, the society decided it could no longer house the slabs and lent them to the Brooklyn Museum. 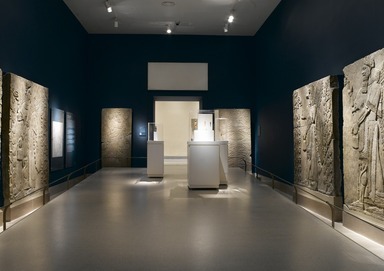 Finally, in 1955, Hagop Kevorkian, a collector and dealer of ancient Near Eastern Art in New York, presented the Museum with the funds necessary to purchase the twelve reliefs from the society and install them here in this space, now named the Hagop Kevorkian Gallery of Ancient Middle Eastern Art.